Designed by architects Parfitt and Prain, the Cathedral features a blend of Norman and Gothic styles. The Rev. John West founded the parish in 1820. This is the fourth church building on the site. 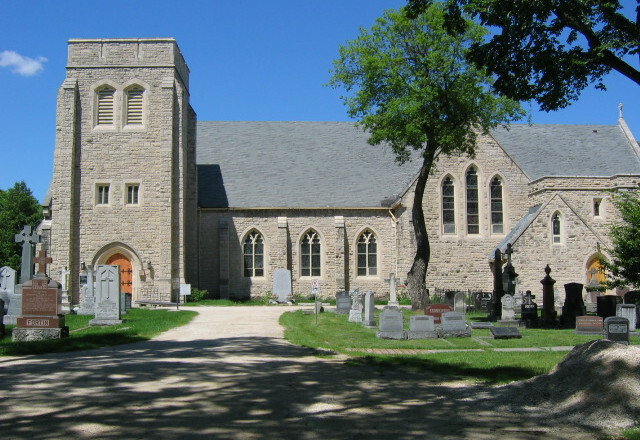 The cemetery pre-dates the Parish and was established by the Selkirk Settlers in 1812. The cemetery is a history of Winnipeg in stone. In 2020, St. John’s will celebrate 200 years of God’s faithfulness. Guided tours will start at 10:30am, 12:30pm and 2:30pm on Saturday and 1:00pm & 3:00pm on Sunday, lasting 90 minutes, maximum 30 participants.